The best time to visit Thailand is very much related to the weather, destination as well as the purpose of your vacations. Indeed, it is commonly said that the best time to travel to Thailand is from November to end of February in order to enjoy a dry weather as well as moderate temperatures all over the country. This time corresponds to enjoyable weather in Laos, Cambodia and Vietnam and is therefore perfect for a trip within the whole country as well as multi-country tours. If you are looking for a beach vacation in Southern Thailand, by the Andaman sea or the gulf of Thailand, you might want to consider the fact that the western coast of Thailand, to the clear waters of the Andaman sea can know heavy storms from April to October, while the Eastern coast, to the Gulf of Thailand, knows its biggest rainfalls from September to December. There is therefore always a good time to visit Thailand if you are looking to lay down on a sandy beach and enjoy the sunshine. Whether it s on the Andaman Sea, or the Gulf of Thailand, the scenery always is amazing! 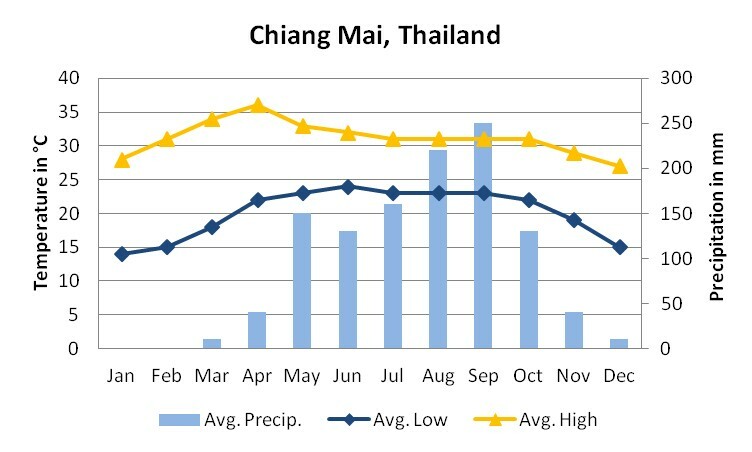 From March to May, the weather is still dry in Northern Thailand. You can therefore consider a trip from Bangkok up North, to the cities of Chiang Mai, Chiang Rai. Don't forget to discover cultural heritage of these cities and what the mountainous regions of the North have to offer, such as an introduction to the many ethnic minority groups, adventure activities, treks, promenades and biking tours in this beautiful scenery. In choosing the best time to visit Thailand, it is clear that you have to select your destination and check the weather first, but those criteria are not the only ones, as the kingdom of Thailand also offers interesting festivals and the most famous is New Year Festival, or Songkran. This Festival, common to Thailand, Laos, Cambodia and Myanmar, is a celebration of entering a new year and Thai population celebrates in the streets of the major cities by throwing water and flour at each other. This festival happens in April and all travelers who have made it to Chiang Mai at this time of the year will tell you that the culture capital of Thailand is also the best city to celebrate Songkran. Another famous and exotic festival is the Phi Ta Khon, happening in the city of Dai San, in the Loei province, sometimes between March and July (it depends on the city's medium's decision). This festival is also known as the “ghosts festivals” and is the most colorful festival in Thailand as men dress up with costumes and masks to represent spirits. It is an expression of Thai people's beliefs on ghosts and spirits as they dance and wake up the dead to celebrate the return of Buddha. The festival lasts three days and is actually a succession of different festivals, including some elements of the rocket festival (which welcomes the wet season) during which homemade rockets are fired. 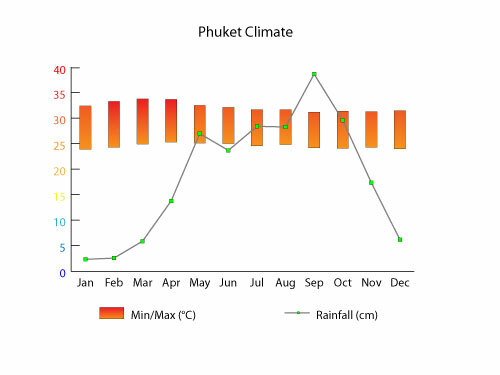 Click here for more information on Thailand weather!